A Milliradian is 1000th of a Radian. Mille being from the Latin meaning of one thousand. So what is a Radian? Being completely honest, I have read a lot on this subject and even reading the descriptions of other people multiple times it is difficult to comprehend. What I believe is the simplest way of describing it is as follows. 1 Radian is an angular measurement of a circle where the curved “arc” of the measure is equal to the radius of the circle. A radian is the pie-chart version of an equilateral triangle, where all sides are equal in length, albeit one of them (the radian arc) is curved. Lets see if a picture helps. Remember at school when you’d complain to the teacher about never needing to use trigonometry in real life, well, take it back. We need to work out the circumference of a circle using 2?r then divide it by r.
Regardless of the size of the radius, there will only ever be this number of radians as the angle stays the same. How does this pertain to shooting? Now we understand what a radian is, we can use a portion of it to apply to shooting. Like Degrees and MOA, the unit of measure is too big to be useful for shooting, so we use 1000th of a Radian for use with shooting. Just to reiterate, one Mil is 1000th of a radian. Mil (Or Milliradians) is an SI Unit and often considered the metric equivalent to MOA, due to the way it works hand-in-hand with the metric system. Sights generally come with Mil adjustments, or MOA adjustments (aside from a few Russian offerings which don’t come in either). How will knowing what a Mil is help me hit my target? Using a standardised measurement of angle such as Mil gives us a relationship for adjusting our sights based on bullet trajectory, or bullet impact. If we were to draw a triangle that had the 2 longest sides 100 metres long (since Mil works beautifully with metric I will work examples in metres rather than yards) joined at one end and 1 mil apart all the way along, at the opposite end to the join they would be 10 cm apart. Therefore we can deduce that at 100 metres 1 Mil is 10 cm. 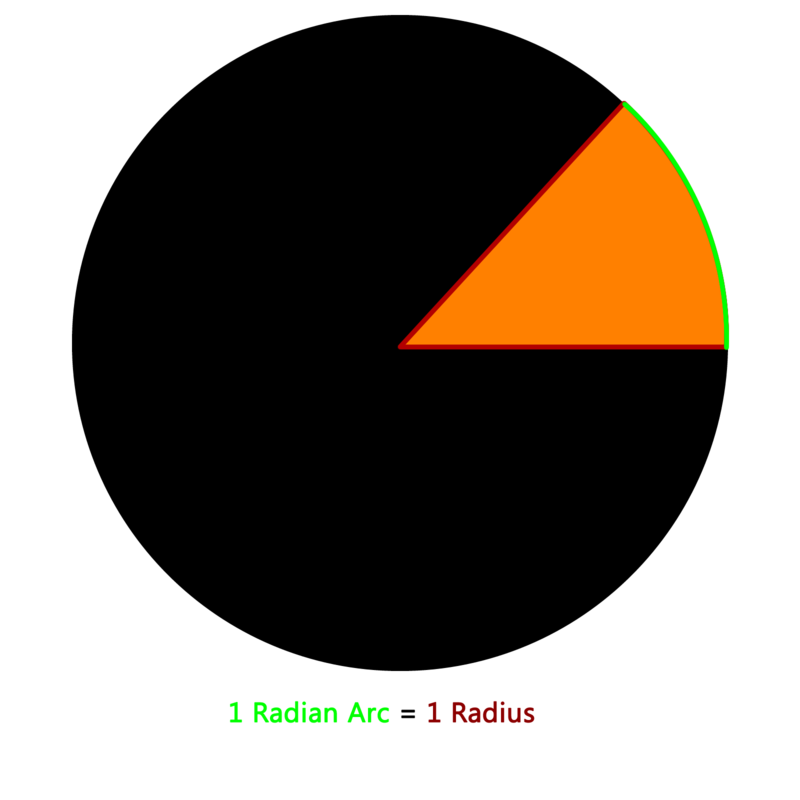 Since the Radius is equivalent to the Radian, and in this case the Radius is 100m. Therefore 1000th of the arc/radius is the angle of measurement. So we divide 100m by 1000 giving us 1/10th of a metre, or 10cm. 10cm at 100 metres however is not enough accuracy resolution to win competitions where the NRA bull at 100m is only 5.5cm. Sights therefore come in 2 major offerings where Mil is concerned. Either 1/10th Mil, or the super fine, 1/20th Mil clicks. We know that if we are hitting 5 cm to the left of target and 2.5cm high at 100 metres, we need to move half a Mil to the right and ¼ Mil down to get on target. Since sights in Mil usually come in 1/10 Mil clicks or 1/20 Mil clicks. We can calculate how many clicks will get us on target. (5 right, 2 down or 10 right and 5 down respectively) This does highlight the resolution issue with 1/10th Mil sights where the lowest resolution they will go is 1 click = 1cm at 100m therefore to correct our scenario we would either have to be .5cm above or .5cm below our target, this is of course corrected with a 1/20th click sights, where the lowest resolution at 100m would be .5cm per click. What about at longer range? 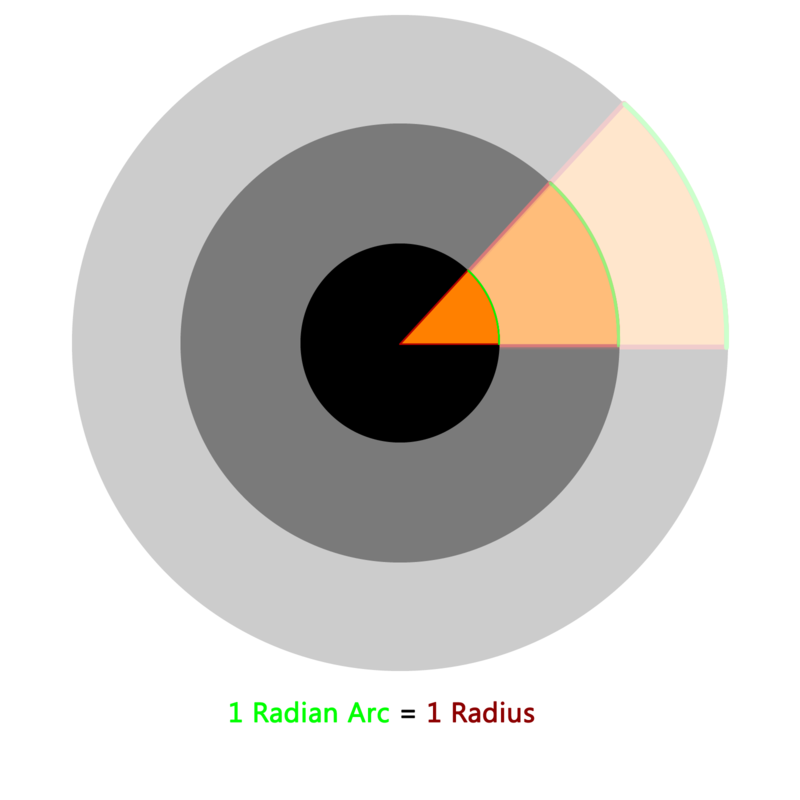 As shown in the image above the arc gets bigger in a linear fashion to the radius, which means the further you shoot the larger a Mil is. Thankfully in Mil it is easily formulated. At 1000 metres, 1 Mil = 1 Metre. [r(distance)/1000]. What about Mil under 100 metres? As above, since it’s an easily worked out formula of distance / 1000 to work out the millirad, it doesn’t matter what the distance, it will always be a (fairly) simple calculation. At 50 metres (50 / 1000) 1 Mil will be 0.05m or 5 cm. At 25 metres 1 mil will be (25 / 1000) 0.025m or 2.5cm. Divide these numbers again by 10 for 1/10th click sights and you have your click values. 0.5cm clicks or 5mm clicks at 50 metres. 0.25cm or 2.5mm clicks at 25 metres. What about the relationship between MOA and Mil? 1 radian is 1/6.283185 of a circle (360 degrees). Therefore 1 Radian is roughly 57.3 degrees. One Millirad (divide by 1000) is 0.0573 degrees. Direct Relationship: 1 Mil is 3.438 MOA.